The hubby and I both love eggs and we try to incorporate them into our weekly intake whenever possible. 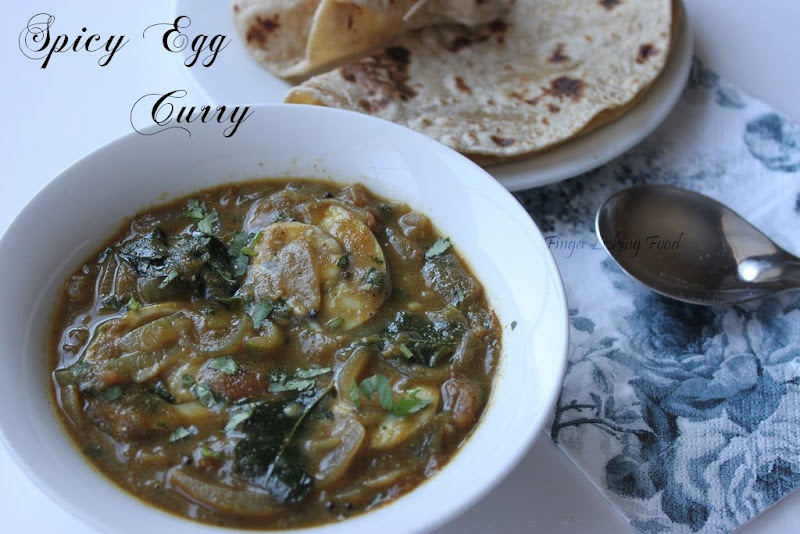 A few weeks ago a friend had me over for lunch and had made an Egg curry.I loved how it tasted and was definitely different from any of the egg curries I had tasted before. She had briefly told me how she had made it and I had made a mental note of the recipe with hopes of trying to recreate the same dish in future. There are as many versions of Egg Curry as there are cooks that make it. It was a simple recipe, and I added a few more ingredients and came up with my own version. 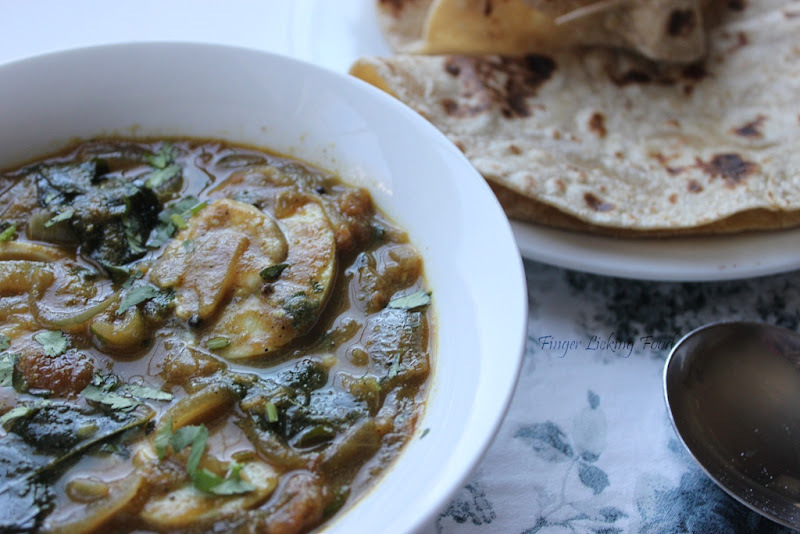 The main seasoning in this dish is Garam Masala. This is a fragrant spice blend which adds zing to any dish. Typically this is added in the end so that it retains its aroma and flavorful kick. Heat oil in a non-stick pan. Add the mustard seeds and when it begins to splutter add the curry leaves and sliced onions. Saute on medium heat till onions are soft and translucent. Add the coriander, cumin and turmeric powders. Cook for a couple of minutes and then add the tomatoes. Cook until tomatoes are soft. Add ½ cup of water and bring to a simmer. Season with salt and add the garam masala. Simmer for a minute more and then add the hard boiled eggs cut in half lengthwise. Turn off heat, cover and let sit for ten minutes before serving. Garnish with chopped cilantro. 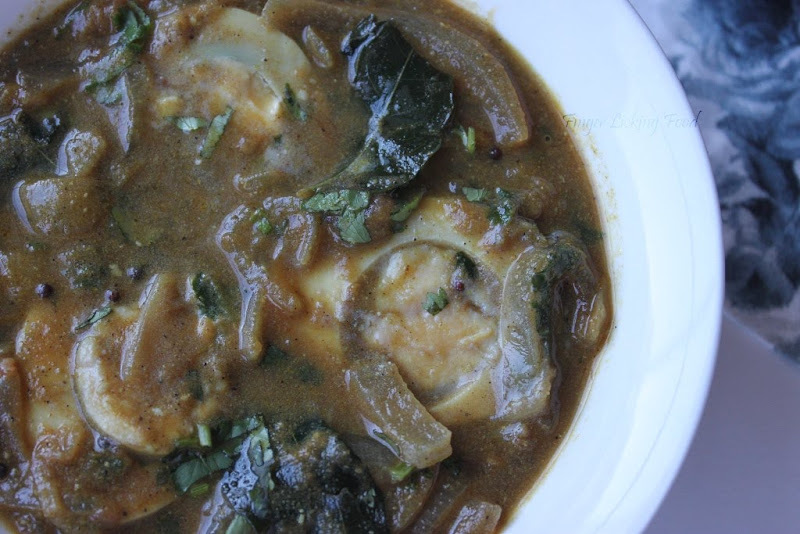 We had this with whole wheat chapathis...needless to say, this flavorful egg curry was gone in minutes. Spicy egg curry sounds great! Slurpppp! !terrific spicy egg curry, feel like having some..
Wow that egg curry looks so so drooley delicous. I neve rmake egg curry as hubby and daughter don't like it. Wish i had this for lunch. The colour of the gravy looks amazing.Simple but mouth watering recipe. That's comfort in a bowl right there. 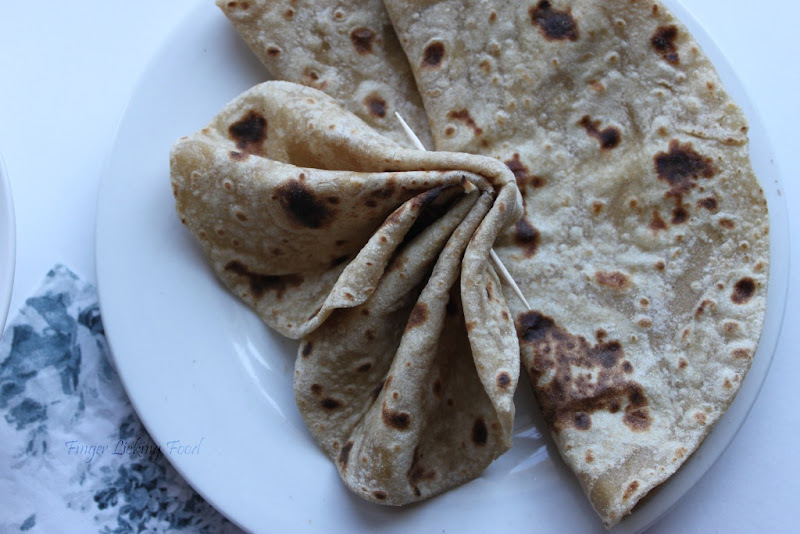 I like the way you presented the chapati held in place by a toothpick. I love egg curries and have been meaning to make one soon. This version sounds and looks amazing! I make this for dinner last night and hubby liked it so much, there are no leftovers remaining! I like the presentation of the chappatis with the toothpick. Looks very yummy and delectable!!! Mouthwatering!! !